Martha Connerton’s new work, “Still the Voice,” draws inspiration from Sufi songs, prayers, poems and dances. It pays homage to the magnificent voice of Amjad Sabri, a celebrated Qwaali (spiritual song) artist who was assassinated in Pakistan two years ago for his open beliefs and inclusive philosophy of life. 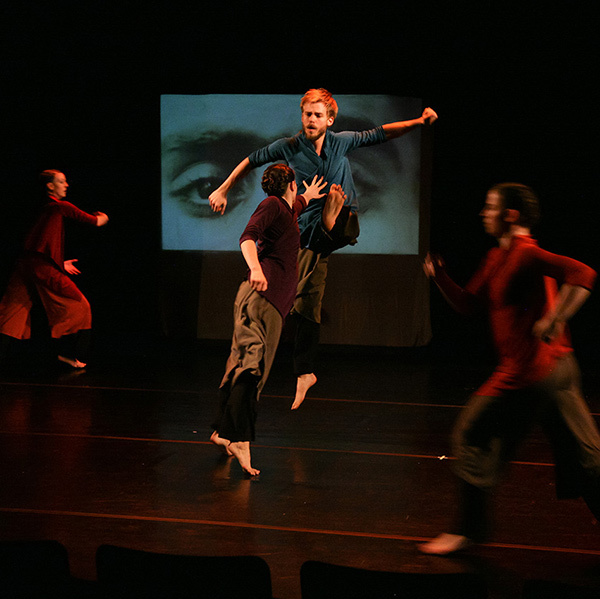 Connerton, founding director of Kinetic Works, is a choreographer/director, has received numerous awards and grants including a 2018 ASC Creative Renewal Fellowship. She is a leader in arts education, integrating dance with core curriculum. In our current age of social and political unrest, the message of a singular voice that cuts through and moves the heart is rare. Forces which try to still that voice cannot bury its resonant power. This work speaks to the force of truth, beauty and love that will always percolate to the surface among even the most turbulent times. Martha Connerton, Founding Director of Kinetic Works is a choreographer/director whose career includes some of the nations finest ballet and modern dance companies, theater and opera. She has received numerous awards and grants including a 2018 ASC Creative Renewal Fellowship. She is a leader in arts education, integrating dance with core curriculum..